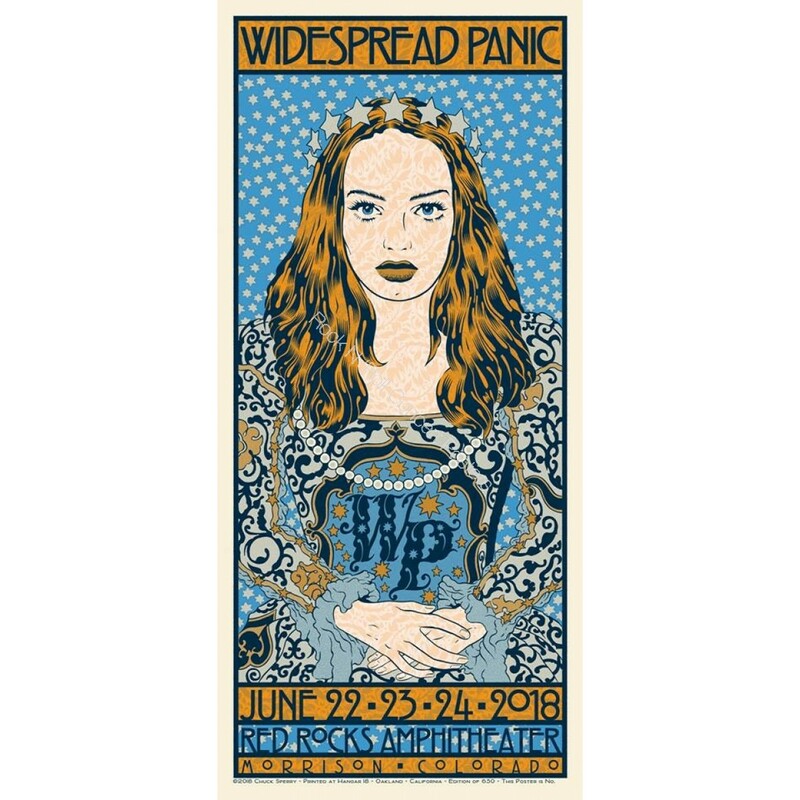 INFO: Official 5 color silk screen print sold inside the venue for Widespread Panic's June 22-24th concerts. Measures 16 x 35 inches on heavy card stock cream paper. Hand signed & numbered by Chuck Sperry.